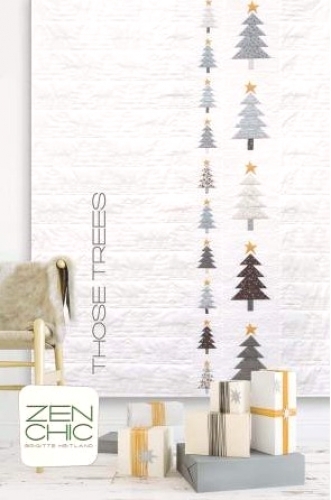 Those Trees Quilt Pattern by Brigitte Heitland for Zen Chic. A tidy border of star topped trees runs through an open white field, leaving lots of space for quilting. 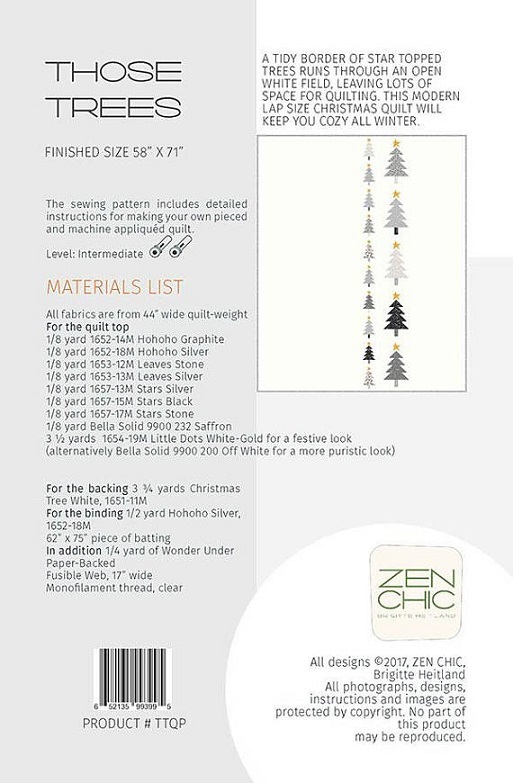 This modern lap size Christmas quilt will keep you cozy all winter. 58" x 71".